No other European country, except perhaps Italy, has three competing awards ceremonies to match our Evening Standard, Critics’ Circle and Olivier jollies, but there is a growing trend around the European Union towards such celebrations. Many are televised, but others are more modest affairs, often organised by the local critics. Special mention should perhaps be made of the Europe Theatre Prize, last presented in 2016 to the Swedish choreographer-director Mats Ek. The prize began under the aegis of notable EU cultural figures such as Melina Mercouri and Jack Lang, but in recent years has had to struggle for more than nominal support from Brussels. In spite of this, it still brings together the leading figures in European theatre for a week of colloquia and performances. Austria’s prizes, awarded in November since 2000, are the Nestroys, named after Johann Nepomuk Nestroy, whose works include the play that inspired Hello Dolly!. Since 2013 there have also been awards each June devoted to musical theatre, opera and dance, the Osterreichische Musiktheaterpreis. A jury of a dozen critics selects the winners of the Belgian Critics’ Prize, which in 2006 replaced the Prix du Theatre that had been in existence since 1998. The latest awards, covering both theatre and dance, were presented at the National Theatre in Brussels last October. Bulgaria’s awards, the Askeers (which sound like Oscars in Bulgarian) are usually presented on May 24, the day of Bulgarian enlightenment and culture, at Sofia’s Bulgarian Army Theatre. The Croatian Association of Dramatic Artists supervises Croatia’s awards, up to 20 of them, which since 1992 have been presented at the National Theatre in Zagreb on November 24, marking the 1860 institution of Croatian as the country’s language of theatre. The Cyprus Theatre Organisation established the Cyprus Theatre Awards in 2001. There are nine categories plus a Grand award for lifetime achievement. The awards ceremony is televised and takes place in January. The long-established Alfred Radok Awards were replaced in 2014 by the Czech Theatre Critics’ Awards, organised by magazine Svet a Divadlo. In the same ceremony in March, Theatre News announces a production of the year award, based on public voting. The Thalia Awards are handed out also in March by the Czech Actors’ Association, and every other February the DNA Awards for new theatre are given by cultural network Nova Sit. The Reumert Prize, named after a famous Danish actor, is presented at an annual awards ceremony in June to recognise excellence in Danish theatre, including opera and ballet. Founded in 1998, it has 16 categories, with a further 10 talent prizes for artists of promise. As of 2016, recipients also win cash – the Prize of Honour alone offers DDK 200,000 (£23,000). Estonia holds its Annual Theatre Awards gala on March 27, World Theatre Day. Winners from theatre, opera and ballet receive their prizes in one of the country’s major theatres – the venue changes each year. 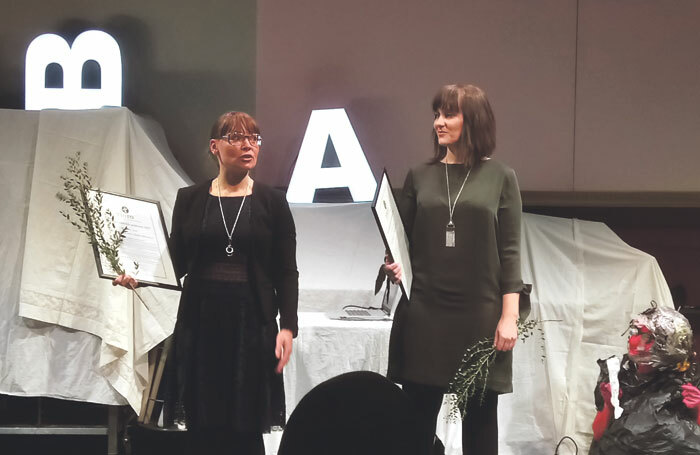 The Thalia Gala gathers the winners of prizes given by different organisations in Finland on World Theatre Day. Prizes include the Thalia itself, based on a public vote for best production, the Silmankaantaja for scenography and the Lea for best play. Thalia and Silmankaantaja are given by Tinfo, the Finnish Theatre Info Centre, Lea by the Union of Playwrights. Voting starts about now for the French theatre awards, the Molieres, which were founded in 1987 by Georges Cravenne, who also created the Cesar award for French cinema. The 19 categories are voted on by an academy similar to that of the Oscars. They are presented every June in a grand televised ceremony, La Nuit des Molieres. Germany’s major prize, Der Faust, is awarded in November and covers seven categories plus a lifetime achievement award. Theatres put forward nominations, but cannot propose their own productions. A jury of artistic rapporteurs and the artistic committee of the German Stage Society then nominate three artists for each of the individual categories. The Karolos Koun Theatre Awards, founded in 1996 by the Municipality of Athens, are organised by the Association of Greek Theatre and Music Critics and awarded in February. They have three categories – best director, best performer and best production – plus other awards including international repertory and ancient drama. The Hungarian Theatre Critics’ Awards date back to 1979. Today they are given in 15 different categories by the members of the Guild of Theatre Critics in September. The Irish Times Irish Theatre Awards are announced at Dublin’s National Concert Hall in March. This year’s winners included Stephen Rea for best actor and Barbara Brennan for best actress. The public voted online for their favourite Irish theatre show. The most important Italian theatre awards are the Ubu Prize, presented in January and founded by the leading critic and publisher Franco Quadri in 1977. The Maschere (Masks) Awards recognise live Italian theatre – 12 were given out at a televised gala in Naples’ Mercadante Theatre last September. Latvia’s annual Players’ Night is a national event, now in its 20th edition and presented annually on November 23, the anniversary of the birth of the actor/director Eduards Smilgis. On World Theatre Day, the Golden Cross of the Stage Awards take place at the Lithuanian National Drama Theatre, organised by the Ministry of Culture. The Golden Crosses replaced the Christopher awards in 2004. Luxembourg does not award any major theatre prizes, but it is interesting to note how many English-speaking productions play in the Grand Duchy’s National Theatre, including a forthcoming visit from the Queen’s Theatre, Hornchurch, a production of The Crucible, not to mention Jude Law in Ossessione. Awards are given in September at the Malta International Theatre Festival, which was launched in 2014 to commemorate the 20th anniversary of the establishment of the Malta Drama Centre. There is also the Francis Ebejer Prize in August, instituted by the Malta Arts Council in 1973 for playscripts in Maltese. The major Dutch theatre awards are awarded in Amsterdam in September at the National Dutch Theatre Festival. These include the Louis d’Or for best actor, Theo d’Or for best actress, Colombina for best supporting actress, and Arlecchino for best supporting actor. They have been organised since 1955 by the festival and Association of Municipal Theatres and Concert Hall Boards. Poland has many individual awards, but Krakow’s Ludwiks are the Olivier equivalent. This year’s Ludwiks were given out, together with a number of Golden Mask awards, at a televised gala at the Slowacki Theatre on World Theatre Day. The Portuguese Association of Theatre Critics hands out the Critics award in February, usually at the National Theatre. It can be for a performance, an actor, a project – it’s the critics’ decision. Normally there are also special mentions: three mentions. There are always five theatre critics. Organised by the Romanian Theatre Union in May, the Uniter Awards Gala has reached its 24th edition. The gala was broadcast live on TV and radio last year from Queen Marie Theatre, Oradea. 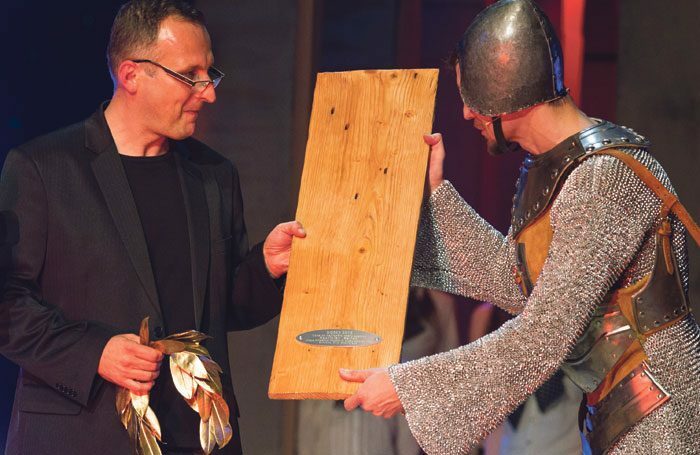 The Doskys (Planks) have been awarded every September by Slovakia’s Contemporary Theatre Association and Nitra Theatre Association since 1996 at the International Theatre Festival, Divadelna Nitra. The Borstnik Ring for lifetime achievement and the Borstnik Awards are given at the Maribor Theatre Festival in October. There is also a jury award, while the Association of Theatre Critics and Researchers of Slovenia give an award for best production. The Max Theatre Awards were created in 1998 by the General Authors and Editors Society and the Spanish Authors Foundation. This year’s event will be in June, at the Palace of the Arts in Valencia. The Swedish Theatre Critics Awards have been given out since 1956 comprising three categories: theatre, theatre for young audiences and dance. Winners are announced every January. Why doesn't Britain take part in World Theatre Day?